The death of Sheikh Omar Abdel Rehman in a US penitentiary has robbed the world of a rare man of principle who refused to be cowed by state bullying and terror. Designated a “prisoner of faith” by the IHRC, Sheikh Omar was framed by a US government agent-provocateur before being tried and convicted in 1995 under sedition laws that had not been used since the Civil War era. He was sentenced to life imprisonment. In a classic case of entrapment, tape recordings of legal judgments compiled by the agent-provacateur were used to show that the blind sheikh, who received a classical Islamic education at Al-Azhar, Sunni Islam’s highest seat of learning in Egypt, was planning terrorist attacks on US soil. In fact the Sheikh’s primary objective after seeking refuge in the US was to agitate for the peaceful overthrow of the Egyptian regime and its president Hosni Mubarak. He and his followers in the al-Jamaa al-Islamiyya group had long renounced the use of violence to achieve political ends. 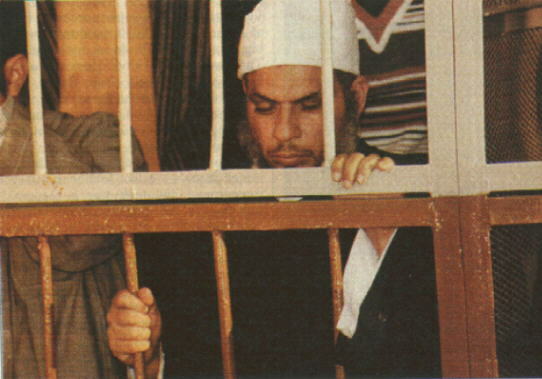 Sheikh Abdul Rahman was imprisoned several times for his anti-government preaching in Egypt in 1970 and 1981. He left Egypt in 1990 after facing security restrictions and being put under house arrest. Three years after arriving in the US, he was arrested on trumped up evidence. DuringÂ most of his incraceration Sheikh Omar suffered from bad health including chronic headaches and sleep disorders, as well as the effects of diabetes and old age. His mobility was severely impaired and he was confined to a wheelchair. The sheikh also spent most of his time in solitary confinement. His lawyers reported he had complained of having been physically abused on many occasions. He also had his religious rights violated and was subjected to humiliating strip searches whenever he received a visitor (usually his legal team). Up to 2011 Sheikh Omar’s own family were only granted permission to see him once. IHRC had long campaigned for the release of Sheikh Omar in the knowledge that his conviction was unsafe and that he had been set up by the US government solely for his influential religious and political views. His death will only make him a martyr and more of an inspiration for people who continue to resist foreign backed autocracy and imperialism in the Muslim world.